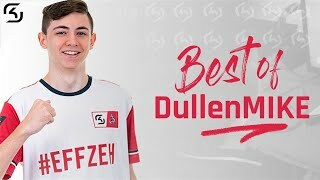 About two weeks ago, at just sixteen year’s old, our newest signing Dylan 'DullenMIKE' Neuhausen became the first German FIFA player to win a FUT Champions Cup. He entered the competition as an underdog and left it as the youngest champion in history. The youngster broke several records in the process and earned $50,000 prize money for his triumph. In our exclusive interview he talks about the experience of his victory and how life has changed since he was crowned champion. Thank you for taking some time to sit down and talk with us. Let’s get to know you a little better before we talk about your championship. Where does the name DullenMIKE come from? Dylan 'DullenMIKE' Neuhausen: It’s simple. It’s because my first name is Dylan. My friends used to call me Dullen and this was also my main nickname on all platforms. But when I switched to XBox two years ago the name was already taken, so I just added my cat’s name “Mike” because I thought that this is really funny and the name DullenMIKE sounds so good. Since when do you play FIFA and what do you like to do besides playing the game? 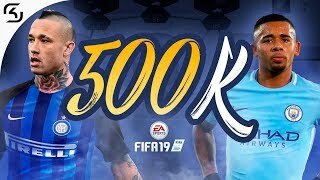 Dylan 'DullenMIKE' Neuhausen: I started playing a bit of FIFA 10 because my dad bought a PS3 that year and it was interesting playing on a console for the first time. My first FIFA which I played intensely was FIFA 13 and I didn’t stop until now. Besides playing FIFA, I play in our local football team as a midfielder. Occasionally, I also play other games like Rocket League with my friends. Let’s talk about the FUT Champions Cup in Bucharest now. Was there a point in the tournament in which you realized that you could win the whole thing? Dylan 'DullenMIKE' Neuhausen: Not really. I was always looking at my next opponent, so I didn’t get too ahead of myself. But when I reached the Cross-Console Finale, I knew it was the time to win it all. I am sure it has been a turbulent time since winning the FUT Champions Cup. How is your life different than before your victory? Dylan 'DullenMIKE' Neuhausen: It’s not too crazy, but at my school everybody watched the game and congratulated me when I showed up on Tuesday. Even some of my teachers watched my games and told me how they never got into esports before, but watched it solely for me, which was so unbelievable. Other than that, within one or two days, my followers on twitter exploded for my proportions. But like I said, it’s not too much. I won’t get recognized on the streets or something. Talk to us about the experience of winning the grand-final. How was the moment when you got handed the trophy? Dylan 'DullenMIKE' Neuhausen: I can’t even remember lifting it at all. When I was doing the interview before lifting the trophy I just wanted it to end so I can lift it, but from that moment on I can’t describe it at all. Obviously it was the best feeling I’ve ever experienced. What was the first thing you did after your victory and what will you do with your prize money? Dylan 'DullenMIKE' Neuhausen: Looking at my phone and realizing that I just won the whole tournament. After that I replied to as many messages as possible from my mates. For now, I will save up the money, maybe buy some smaller things, that I always wanted but could not afford. However, the main part of the money will be saved, as I don’t have any usage for it now. This was just your third international LAN event. You have been flying under the radar before and seemed to be comfortable in the role of the underdog. Now the hunter becomes the hunted. What will change going forward and how will you adapt to your new role as one of the favorites? Dylan 'DullenMIKE' Neuhausen: It’s an interesting feeling to enter as a favorite at upcoming events, but I think that this role suits me well because then I can play my own style throughout the game. Most opponents will adapt to me and not vice versa. Last question. You have signed with SK Gaming just a month ago at the beginning of January. Traditionally, we are a very successful organization in esports and FIFA is no exception. For example, our FIFA twins left an imprint on a whole era back in the day. We always strive to belong with the top competitors and knew that you had the potential to make it to the very top when we signed you. 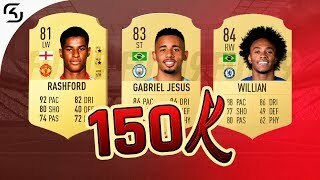 However, given your young age and inexperience at offline competitions, no one could expect you to become a champion this soon and we are extremely proud of your accomplishments at your two offline tournaments and in the Virtual Bundesliga. What would you have told me if I came up to you a year ago and said that you would join one of the most prestigious esports organizations at the beginning of 2019 and instantly go on to win your first FUT Champions Cup to become the youngest champion in the history of FIFA? 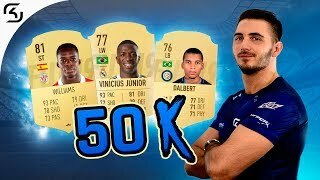 Dylan 'DullenMIKE' Neuhausen: I probably would have thought that you are insane or something, because one year ago, I was reaching Elite in FUT Champions Weekend League and an esports career was way too far away. Also, if you would have said to me that I will participate in a FUT Champions Cup… That alone would have been enough for me to call you crazy. Thank you for all the insights to the life of a champion. Thanks to his performance, Dylan has earned a lot of necessary pro points and is almost guaranteed to get a spot at the most important tournament, the FeWC, at the end of the year. It will be exciting to see what surprises the former underdog has in store for us until then.